2 blog posts in 3 days?! Yeah, I know, it is definitely not me. So as you already know I moved to Budapest so I'm kinda on my own now, and since I don't have job yet I had to find a way to reduce my shopping to minimum. If you live in Budapest or maybe you've been here once, you (might) have noticed that this city is full of thrift stores. Of course I couldn't just pass them by. 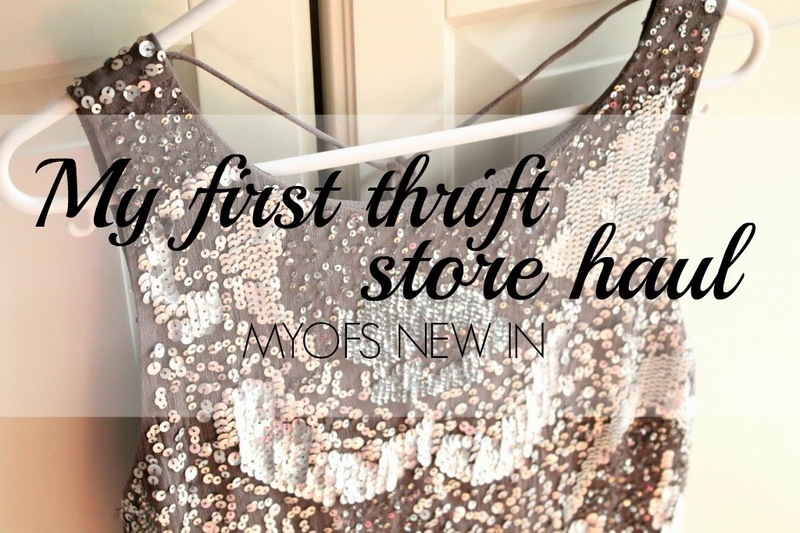 I've been thinking of trying out thrift shopping for a while now, so that was a perfect opportunity for me. Yesterday my friends took me to a thrift store that is a bit different, coz the prices are not for a piece, but for a kilo of clothes/shoes/accessories. And I must say, I AM SO IN LOVE with thrift shopping. You never know what will you find and the best part is that most of the things are either new or in excellent condition. Can you imagine that?! Now that I actually calculated everything I can't believe it myself. Because I never thought I would find something expensive. And of course, needless to say my favorite item is AJ jeans. I just love them! So of course after these amazing finds I will definitely continue thrift shopping, the only thing is that now that there are quite some clothes coming in my closet, I have to make some space for them. What do you guys think about thrift shopping? Have you ever did it? Do you like it?